First up, I learned to do fair isle this week. I have only tried this on my own once (winging it) and it turned out nice, but this time I am working from someone else’s pattern and am actually going to produce a pair of socks to boot. 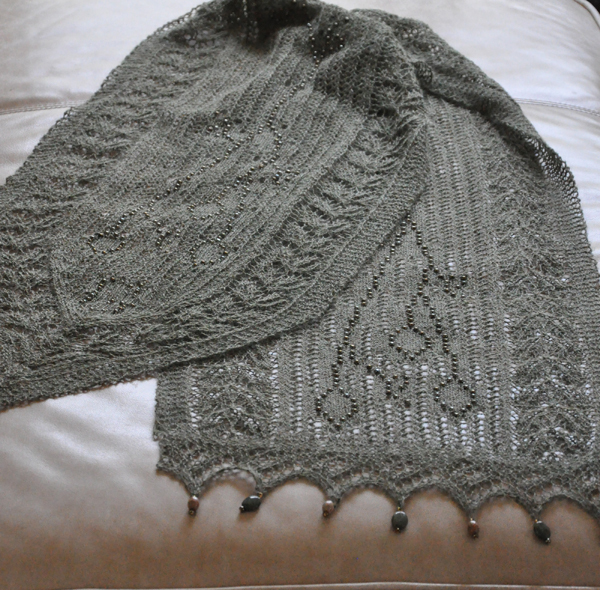 The pattern is Elika, by Heatherly Walker. 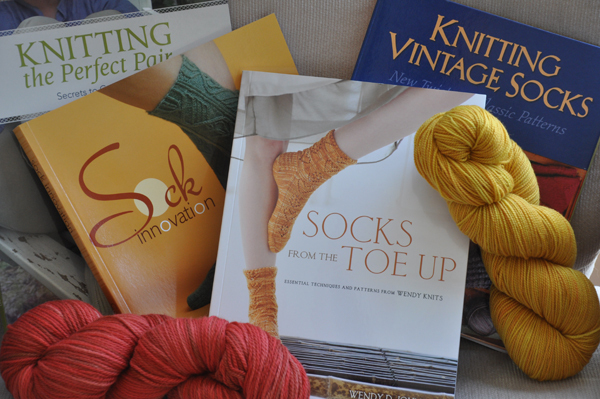 The yarn I am using is knitpicks essential and kroy socks. 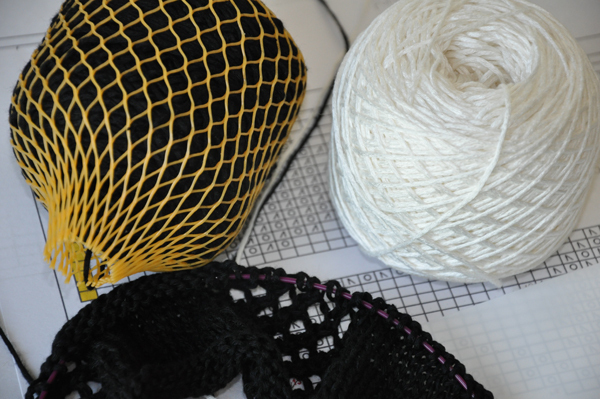 The pattern is bare bones and basically assumes you already know a lot about knitting socks. 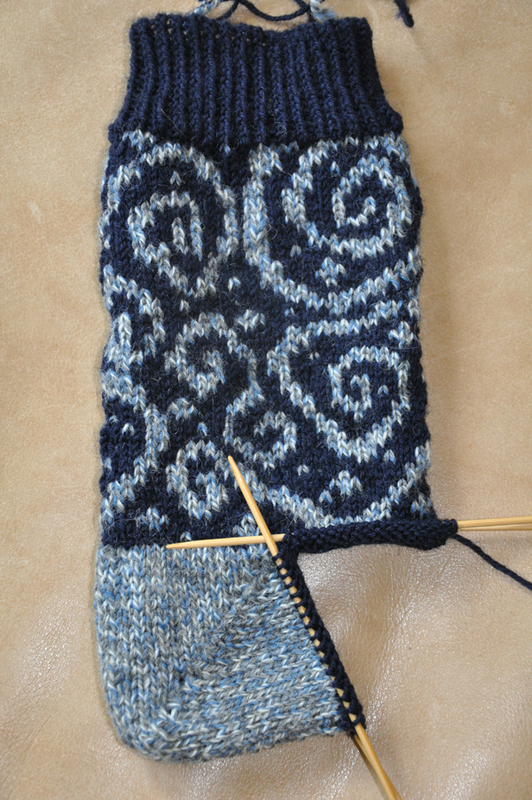 It also includes instructions for a short row heel, which I have learned that I DO NOT LIKE! The fair isle, on the other hand, is great!! I can see more fair isle in my future! Next up is a pair of gloves/mittens. I have never made gloves or mittens before, so I figured I would make both at once and learn both at the same time. The pattern is easy enough, but contains errors. Actually, I expected better instructions in a pattern from Knitty.com, but free is free. 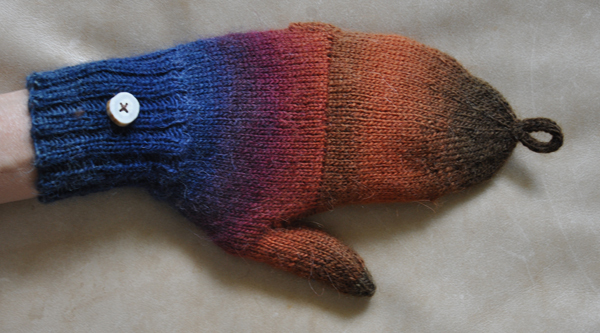 The concept of the fingerless glove covered by a mitten cap is great! If you want to make a pair of these I suggest these notes as they helped me out tremendously! 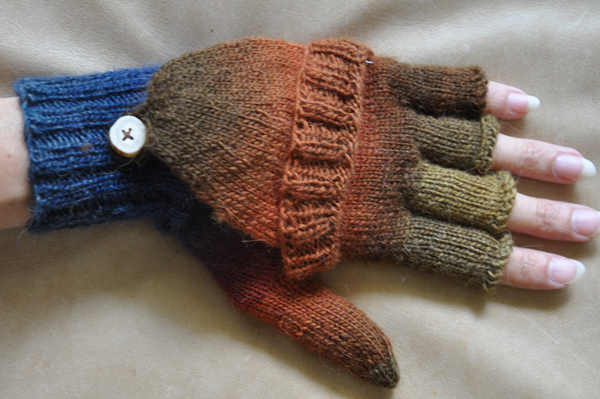 So, now I give you the left hand of a pair of Broad Street Mittens by Janis Cortese. 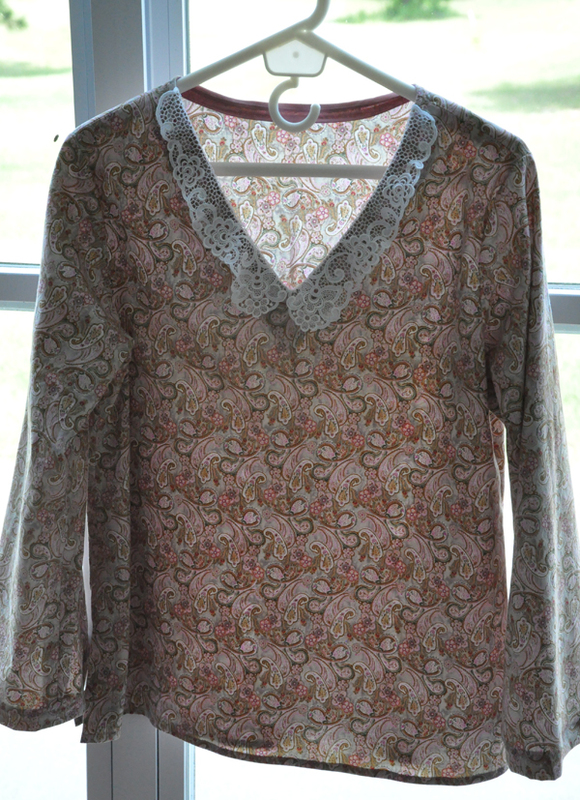 About a week or two ago the secret knit a long that I put together for the Atlanta Knitting Guild ended. I designed an original lace pattern for them to knit so they could enjoy the experience of a knit a long and have a pattern (free) to call their own. The KAL was done exactly like the Secret of the Stole KAL’s, but exclusively for the guild members only. Here is the resulting pattern. This pattern will be for sale as soon as we get the photos done this weekend. If you would like to be notified when the pattern is available please join the Nautical Knitter Designs Yahoo Group. Blocked and ready for the photo shoot this weekend. The mail held some wonderful goodies this week as well. I received 3 new books on my newest interest, socks. Remember the socks that I just finished that were too short? Well, I traded them for some awesome hand dyed sock yarn which also came. Unfortunately, the US Postal Service has not delivered the socks to her yet and I fear that all that hard work may be lost. If so, I will have to do something to compensate for this lovely yarn she dyed for me. Snail mail stinks! Can you tell what is on my list? Could it be? Why yes, it is, SOTS IV in progress! So many achievements! You just have to love summer school! What lovely books! I just bought Cookie’s book, and I’m already making a pair of socks from it (Rick). I am a sock fiend…having made 14 pairs. There’s something very soothing about putting on a pair of handmade socks. Enjoy your time and the books!! Wow! You certainly have been busy. What fun! Fair Isle has always perked my interest, but not sure I”m good enough to tackle it yet. I”m playing around with entrelac. Want to make Debbie Bliss’s entrelac sweater. Love the ‘glittens’. So practical for dog walks. They are in my queue. Oh your socks are just wonderful. I also love making socks. They are a great go to when I travel, or in a place I have to wait at. So I see the kal is getting ready to knit Yeah ! !